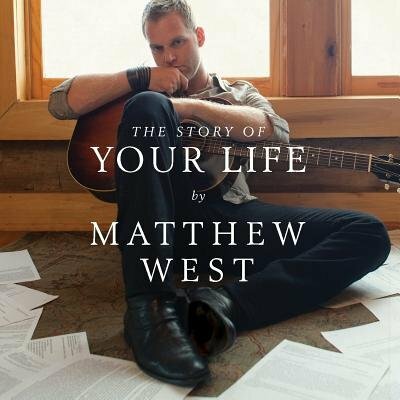 Uniquely written by his fans Matthew West gave opportunities to all of his followers, by asking them to submit their life stories and sing the songs through their voices. Taking varied and diverse stories from thousands of people Matthew has produced some truly inspirational songs that all have a deep menaing behind each lyric. Over 10,000 stories were submitted to Matthew in his search for true life stories with radio stations and retailers helping to spread the word of the making of this unique album. Giving an insight into what some of Matthews fans have experienced was more inspirational than any studio he had been in. So many experiences and emotions filled the mind of Matthew, having to take some of the most poignant stories and turn them into inspirational songs. From joy to sorrow, struggle to victory, and life and death the stories piled in one after the other. The song 'Family Tree' describes how Christ gives us a new identity and legacy and life, while 'One Less' chronicles the joy of adoption and helping those most in need. 'Broken Girl' tragically recounts the countless stories Matthew received about sexual abuse and describes the healing and redemption that Christ promises. 'My Own Little World' perhaps serves as a capstone to the entire album, describing a person who lived in their own 'little world' and then was awakened to the bigger picture of need and God's work in the world. The Story Of Your Life by Matthew West was published by EMI in November 2010 and is our 1183rd best seller. The ISBN for The Story Of Your Life is 5099922650429. Be the first to review The Story Of Your Life! Got a question? No problem! Just click here to ask us about The Story Of Your Life. Also credited to Leigh Nash,relating to Adam and Eve from the story. A:Yes, is it on the album of music inspired by 'The Story'. https://www.eden.co.uk/shop/the-story-cd-3980738.html Thank you for using the Q&A Forum.